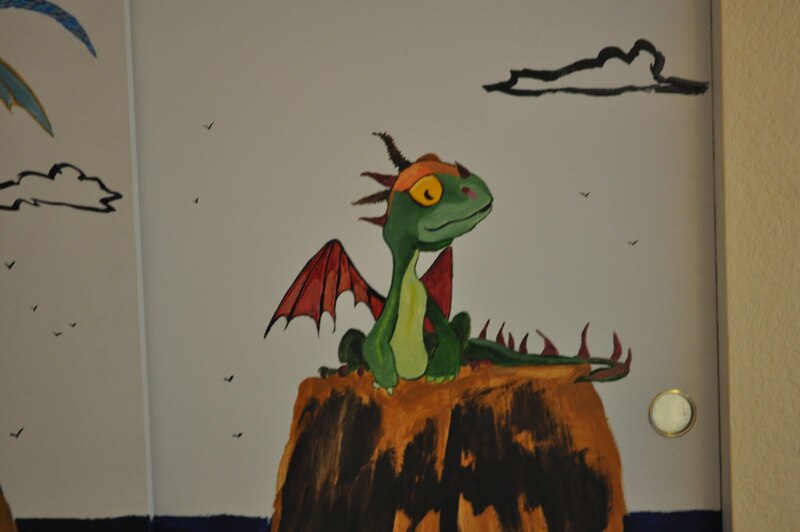 How To Train Your Dragon Mural | Cappa Toons! 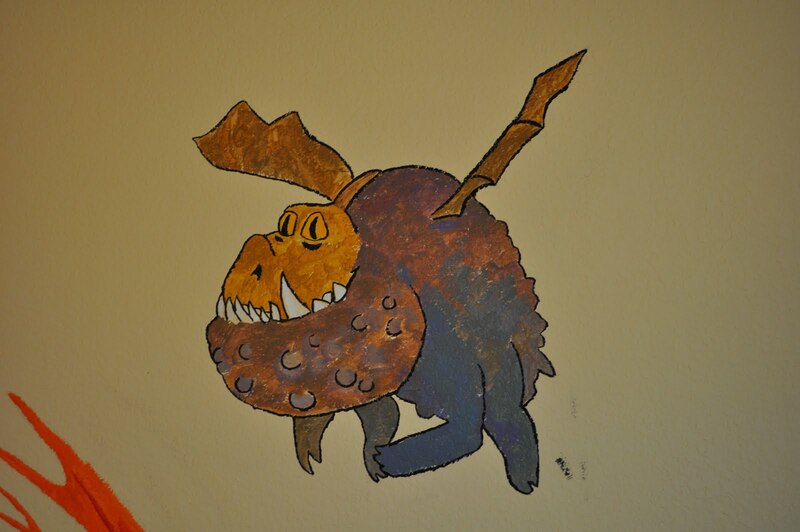 This was my latest mural, done for my friends Jeremy and Jenny, and their newest baby. 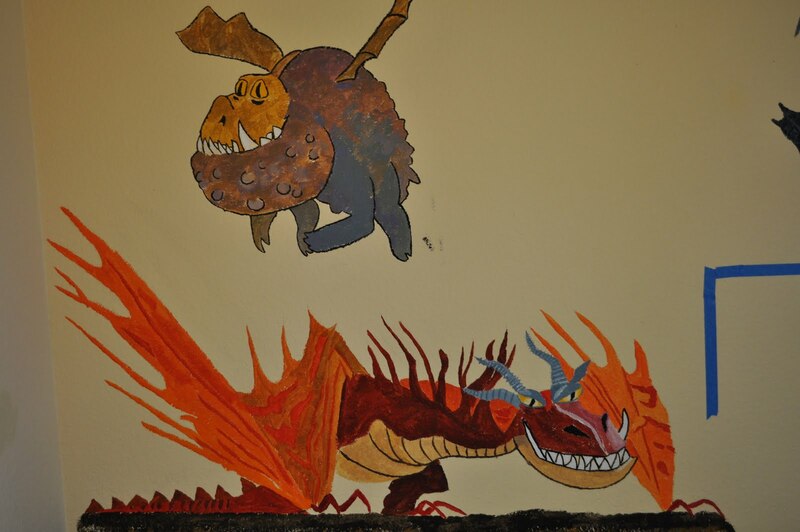 The theme: Dragons! Click on the photos below for a bigger version. 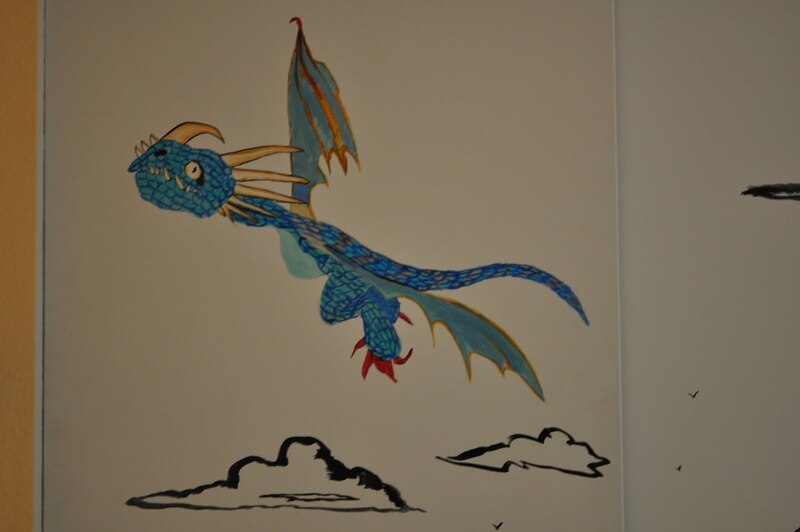 This image of Toothless will be flying over the crib. 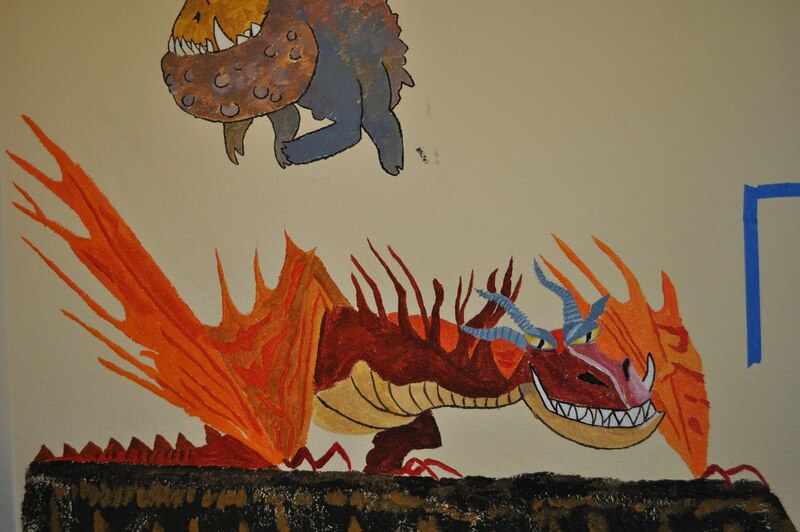 The two headed dragon, soon to be flying over a dresser. 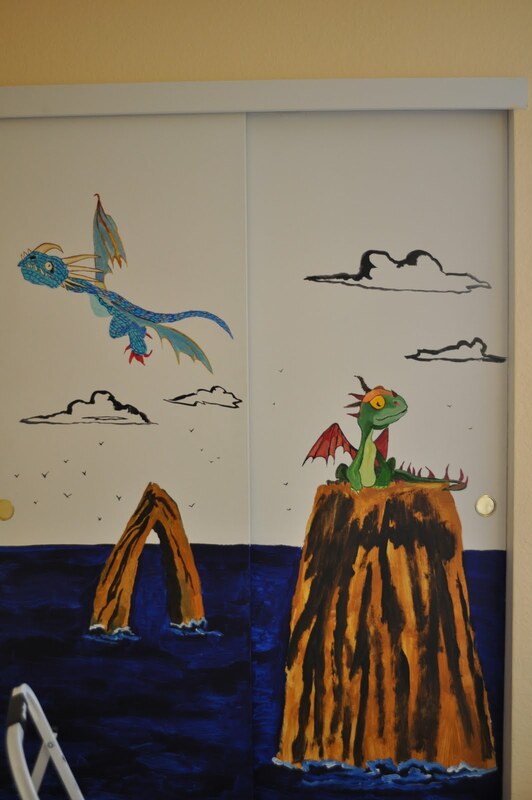 The closet door featuring an ocean scene and two other dragons. 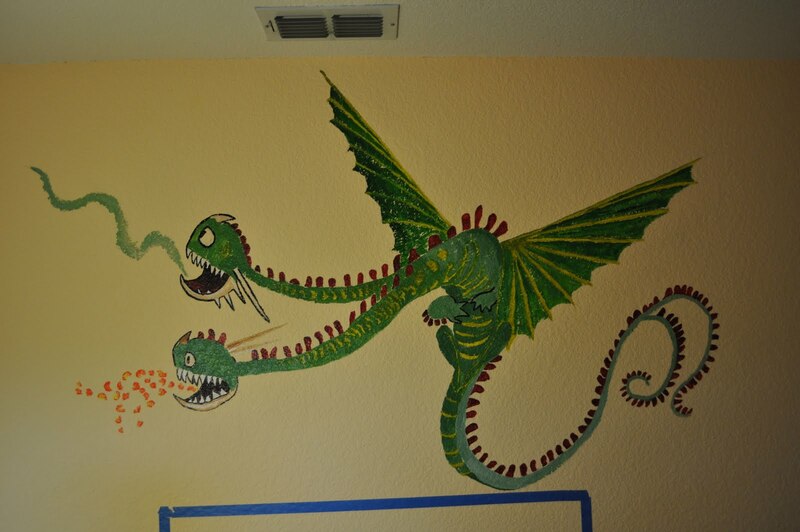 This was a tough mural to pull off, but after a few years, it was nice to finally get another one accomplished. Hopefully there will be more to come in the future. In the meantime, I hope you enjoy the ones that I’ve got! Cheers.